Mortal Kombat Legacy Returns! Resident Evil Starcraft II Twisted Metal Double Dragon II More! EA claims that console games only account for 40% of the gaming market Capcom cancels Mega Man Legends 3 …but they surprise us with Ultimate Marvel vs Capcom 3 Final Fantasy XIII-2 More! Netflix Price Hikes? Bruce Willis vs The Mushroom Kingdom PS…4? DCU Online Goodbye Star Wars Galaxies Let’s meet Rob More! Duke Nukem Forever a Flop PSN Returns in Japan PS…4? 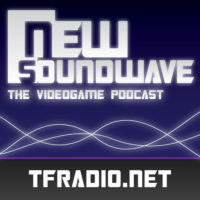 Capcom learns a valuable lesson New Soundwave Reborn More! iCade Capcom strikes at used game sales by making an unreplayable game Supreme Court actually stands up for video games Hey, remember that whole PSN meltdown? Team Fortress 2 made free-to-play; guess what happens next? More!